The Evergreen State has grown into the country’s 13th most populous states, meaning that the great outdoors is right next door to Seattle’s skyscrapers and Puget Sound piers. 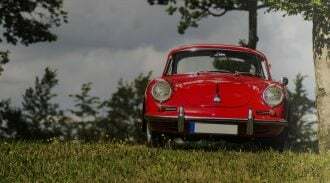 When you’re shopping for a car insurance policy to drive in Washington state as a resident, it’s important to get a good lay of the land, learning all of the minimum auto insurance amounts, available car insurance discounts and the penalties for driving without proper coverage. Just need a car insurance quote? We can help. From volcanoes to glacial ice and rainforests, Washington state’s diverse terrain offers more challenges, potential hazards – and spectacular views – than your typical open stretch of rural road. 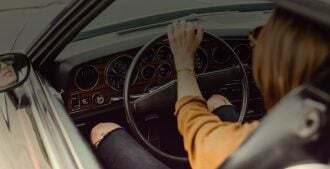 But before you plan an expedition or simply a short trip down Main Street to the grocery store, you’ll want to make sure you meet Washington state’s minimum car insurance requirements. All Washington state drivers need body injury liability insurance coverage for at least $25,000 per person and $50,000 per accident, as well as $10,000 for property damage. Note that these amounts are higher – double in some cases – than the minimum liability requirements of many other states. Also give strong consideration to collision insurance and comprehensive coverage in Washington state. These aren’t required, but are critical for making your own medical payments and handling other damages if you’re found to be at fault in an accident or you’ve declined uninsured motorist coverages. Similar to many other states, Washington mandates that all auto insurance policies are written up with uninsured motorist coverage, which drivers may choose to opt out of. Do keep in mind that an estimated 16 percent of Washington drivers skirt the law by illegally driving without proper coverage; that’s about 13 percent higher than the national average, according to the Insurance Research Council. Need some help with liability insurance lingo? Visit our liability coverage page. One way around meeting the minimum auto insurance requirements is to put up a liability bond or certificate of deposit for $60,000, which demonstrates your ability to compensate other motorists and passengers in the event that you’re fond at fault for an accident. Fleet owners may also apply to be self insured. Washington state does also asks drivers to keep proof of insurance of them at all times. Well, it doesn’t just ask them, it tells them, and those who have all the necessary coverage but forget their insurance ID cards during a traffic stop may still be cited. Maintaining insurance compliance in Washington doesn’t need to break your bank. In fact, you may be eligible for any number of discounts provided by car insurance companies. These include safe driving discounts, good student discounts, employer and affinity group discounts, as well as discounts for bundling multiple policies together. Be sure to research the unique discounts and the range of savings with each insurance provider you’re considering. Failing to maintain the minimum car insurance requirements in Washington state will land you a fine of at least $450 for each offense. Additionally, if this results in loss of license, drivers will need to hold form SR-22 for three years to demonstrate the ability to pay for damages they may be at fault for. To learn more auto insurance in Washington State, contact the State Department of Licensing.